Royal Enfield’s launch of the twin 650cc products late last year has boosted the 500-800cc motorcycle segment. Production and domestic sales saw a multifold jump over the same period last year. Data shows this was mainly due to higher volumes of the twin 650cc engines — Interceptor 650 and Continental GT 650 — from Enfield. The segment saw a doubling of domestic sales to 6,357 units during the period between April 2018 to February 2019. It was 3,161 units in the same period of 2017-18. The growth was almost fivefold last month at 1,559 units, compared to 303 units in the same month last year, according to a report from the Society of Indian Automobile Manufacturers. The month also saw output of 3,004 of the 650 twins, of the total 3,289 produced in the segment; it was only 740 units the previous February. 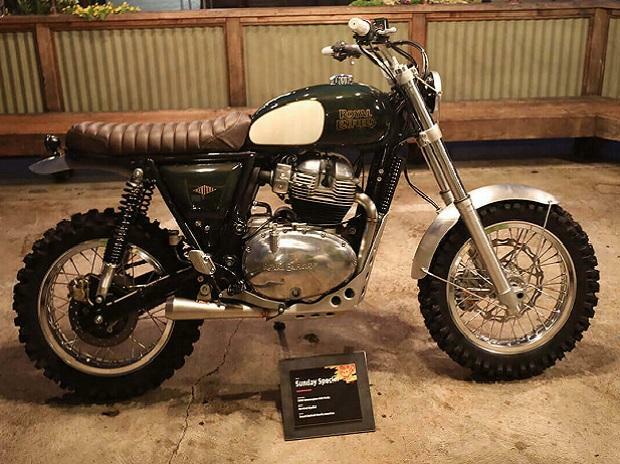 Enfield’s spokesperson said the upper part of the mid-size segment was largely underserved, with hardly any motorcycles at this price point. The Interceptor 650 and Continental GT 650 have been game changers in the segment, with compelling style and highway capability, the firm said. Enfield says it has more than three million customers waiting to upgrade to higher powered motorcycles. The 650 twins are appropriate products to tap into this pool, of customers waiting to upgrade from their existing 350cc and 500cc motorcycles, it said. Beside attracting new customers who have been waiting for more premium offerings from Enfield. Export in the segment was of 1,609 units in February, of which 1,448 were the Enfield products. In February 2018, total export was 436 units, led by Harley-Davidson Motor. For the 11 months of 2018-19, exported units numbered 8,334, up from 5,501 during the same period last year. Led by 3,090 units of Enfield's 650 twins and Street 500. The segment has the Street Rod, Street 750 and Street 500 from Harley (the 500 was not in production last month), the CBR 650F from Honda Motorcycle and Scooter India (not in production last month) and the Ninja 650, Z650, Versys 650, ZX6R and Vulcan S from India Kawasaki Motors. Also, the DL650XA and GSX-S750 from Suzuki Motorcycle India (launched within the past one year). And, Triumph Motorcycles has nine models in this segment, under the brands of Tiger, Street Triple and Daytona.